We live in the age of prophecy, technology and spiritual evolution. To that end, when major changes occur in our physical reality, people seek answers, in the physical and beyond, generally guided to the cryptic predictions of sixteenth century astrologer, seer, and healer Nostradamus. On 9/11/01 my file on Nostradamus received 2 million hits for 3 consecutive days. 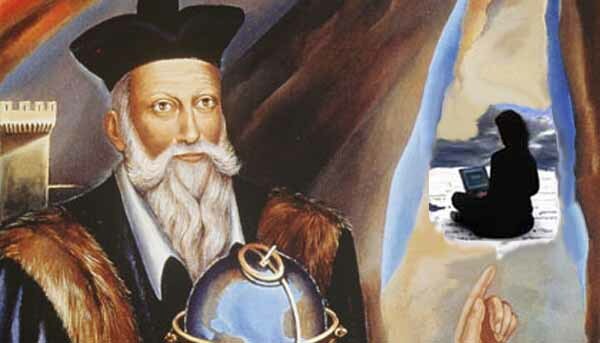 Did Nostradamus speak to us from across the sea of time and space? 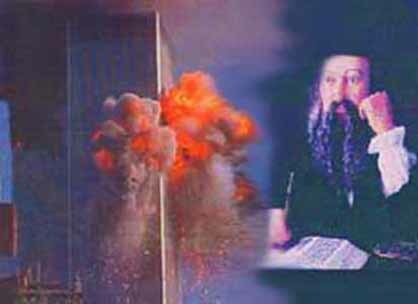 If he did indeed predict the fall of the twins towers, what else did he prophecize about the destiny of humanity? We experience change everyday in -- the behavior and consciousness of humanity, the decline of outdated paradigms: the church and its power to play god and dictate doctrine, global climate changes, technologies that allow us to access information and create our own patterns and predictions, and more. Nothing remains the same. Everything is evolving in the alchemy and consciousness of time. Nostradamus was an alchemist, not in the sense of turning lead into gold, but in returning consciousness to what some call a "Golden Age" where we move from the energies of the physically driven lower frequencies (male) to the return of consciousness to higher frequencies of though (female). This view is clearly depicted in the final images of "The Lost Book of Nostradamus." There has been an exclusive investigation into how the manuscript, believed to have been written by Nostradamus, ended up in Italy's National Library in Rome. The book, stumbled upon by an Italian journalist, contains a series of never before deciphered prophecies. 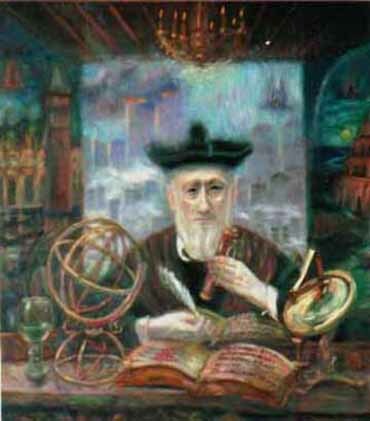 Nostradamus scrambled both the meaning and the order of his quatrains and the images in the manuscript, so that humanity was ready to decode them. That time is now. Whether or not you believe Nostradamus created the images in the manuscript, had someone draw them for him, overall they are a catharsis of the history of the human experiment, closing with its final rebirth. There are those who link the images with the quatrains. I found several parallels, but nothing definitive. Reality, the human experiment in linear time and emotion, is created by design. Nostradamus' 1,000 Quatrains are loosely documented patterns that fit the time frame one is experiencing, as if a virtual reality experience. Patterns or archetypes that help explain reality and through which our minds process what it is experiencing in the grids of creation. The patterns are timeless, seamless, and repeat in cycles. These patterns are bisynchronous - they remain stationary as your consciousness flowing through them, streaming consciousness, allowing one to experience many realities at the same time. As a psychic, a medium, and one whose consciousness can transverse time and space, it was of no surprise when the History Channel invited me to be part of the presentation, almost seeming part of some greater plan to bring information to the world about the future. As consciousness evolves, you will find it within your soul to dream and intuit the changes that are just ahead. 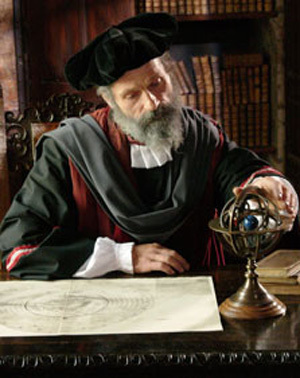 Today I was honored to be part of the production of the History Channel special "The Lost Book of Nostradamus". I was asked, ... "If Nostradaums were alive today, what would he be doing?" Blogging, of course, beyond the quatrains and their cryptic messages to appease the church, and into the future and freedom of human consciousness and expression. In the book, 80 images of (allegory art) tell many stories many of which I interpreted in the two and a half hours I was there. There were themes having to do with history, mythology, alchemy, metaphysics and more. This is the time of the lion... as the sun moves into Leo on July 22. Among the many animals depicted in the images, the most prevalent is the Lion. Each time we see him in the images, he tells another story, its interpretation left to the discretion of the observer, but isn't that what reality is all about. The lion is the story teller linked to the creator. I learned a lot while being part of this project, not so much about the personal life of Nostradamus, but about viewing his work in a new way after years of research on Crystalinks. I surprised myself by actually understanding most of the Quatrains, focusing on Century X ... the end. For those of us in the know/now, we see the patterns of grid experience within the constructs of evolving civilization and consciousness, and grasp what is going on in our timeline and where it is all leading. It is all predictable as it is all geometry. 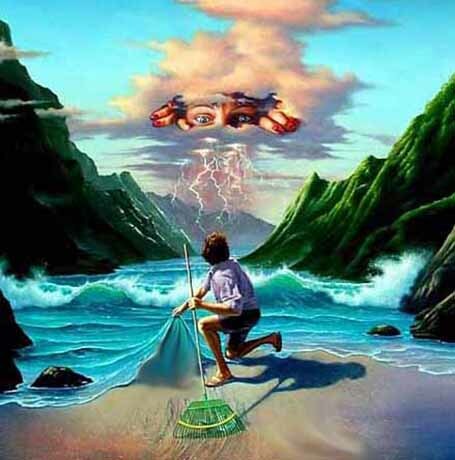 Reality is myth, math and metaphor, with a sprinkle of magic (WiZard). The rest is history. Nostrdamus was allegedly born on December 14, 1503 and died on July 2, 1566. According to this article, his date of birth may have been December 21 (Mayan Calendar Memo - 2012 end time date for the next cycle in 13 (time0 or the evolution of consciousness). [1503=9, closure] He died in the July 4th window (7/2=9) 1566 = 666 - reversed= 999. July 4 takes us to the Masonic Program (the all seeing eye and related) and the formation of our country. It's always fun to figure things out based on the geometric patterns of reality. While working with the 80 images, somehow they overlapped for me with "Wizard of Oz" themes, including the limousine service for the TV shoot, called OZO car. So Ellie traveled over the bridges, by way of OZ, till she got all the way home. "There's no place like home." Is the truth black and white? Will the 360¼ 'screen images' for closure I see, finally move from Black and White to Living Color? The film version of "The Wizard of Oz" progresses from Black and White to Living Color. The 80 pages of images and the three text pages in the "Lost Book of Nostradamus" are in color. No one involved with the project had mentioned that page 71 was missing. Along came super sleuths, Ellie and her friend Ron, a CIO for a major corporation, who set out to find the lost document. The book repeatedly references seven cycles ... so image 71 would be very important (71=8=new cycle, clearly detailed on pages 72 and 35 which speak of the wheel of time and hourglass). Page 71 is part of a group of files (66-72) that have "ribbons" in different directions and shapes, most likely signifying titles or stories. The book, at this point, reflects a shift in consciousness after the seventh cycle. Ron located a black and white version of the book posted in a separate place, and for some reason not disclosed. There is was - a key element - #71 in black and white the pivotal turning point to the story/manuscript (which features the symbol of alpha-omega). I dreamed about the ribbons, as they are an archetype I have seen in the past. Nostradamus woke me up at 5;11 planting a seed in my mind (consciousness) about their meaning. 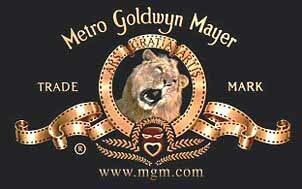 Dashing to the computer, I went to the MGM Trademark (Logo). 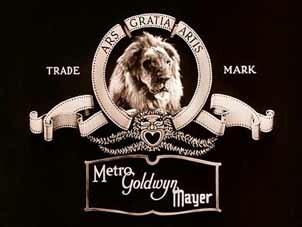 There I discovered the ribbons and the fact that the MGM logo went from Black and White to Living Color through the decades. The original lion looked away. depicted the lion looking at the camera. Reality is a film strip, projected illusion in the dramas of time.The roaring lion takes me to Crystalinks' Mission Statement ... The lion will roar ..... Was Nostradamus confirming that reality is projected illusion created by the Lion? Will Dande'lions' soon be free? The four symbols for Zoroaster are the Lion, the Flame, the Crown and Wings. Last week Ron visited the Smithsonian in Washington DC. On display was memorabilia from the "Wizard of Oz". So what killed the Wicked Witch of the West? Water ... my dear! ... the collective flow of consciousness evolving and casting its magic spell over those who stop along the way to experience in the rivers of time which connect everything. in the flow of the Collective Unconsciousness. At the end of the day, for those who have read my blogs through the years, I assume you recognize that the man behind the curtain is Z, Nostradamus and the Wizard of OZ, et al.